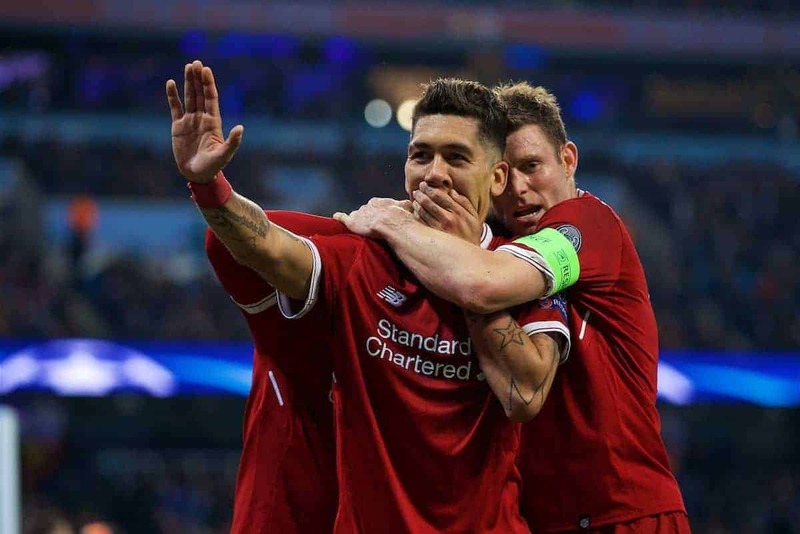 Liverpool produced another excellent showing as they booked their place in the Champions League semi-finals with a 2-1 win over Man City on Tuesday. 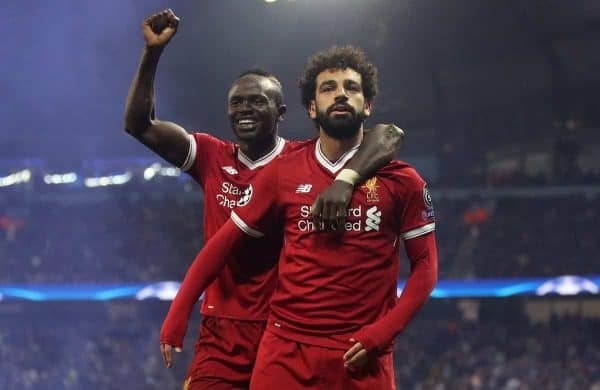 Despite holding a 3-0 lead over their Premier League rivals heading into the second leg at the Etihad, Jurgen Klopp‘s side still needed to put together a resolute display to ensure progress. After going down to a second-minute strike from Gabriel Jesus, the Reds’ challenge was hammered home, but holding on for half-time Klopp was able to change the game at the break. 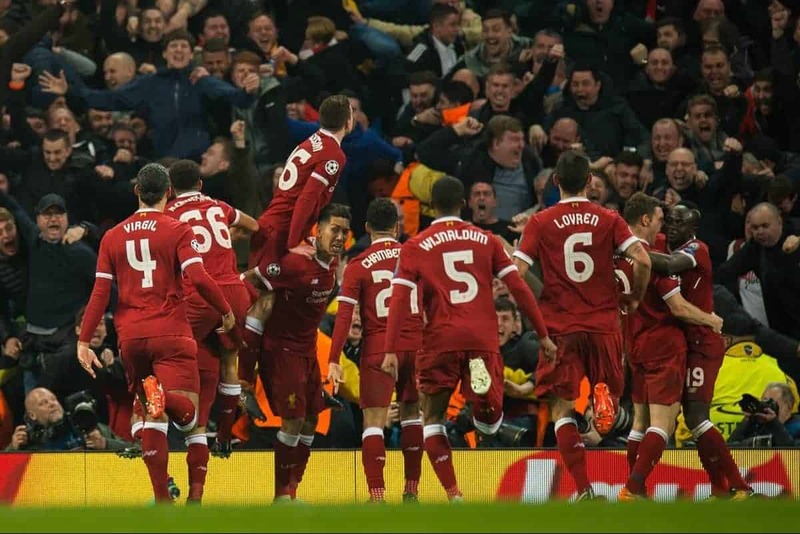 Emerging from the tunnel with a renewed vigour and urgency, Liverpool stunned City with goals from Mohamed Salah and Roberto Firmino to secure a 5-1 aggregate victory. Having outshone City at Anfield, they ultimately did the same on the road, with this two-legged triumph providing much food for thought between now and the end of May. So what can Klopp take from this latest step forward, and how do Liverpool build for a successful end to the season? 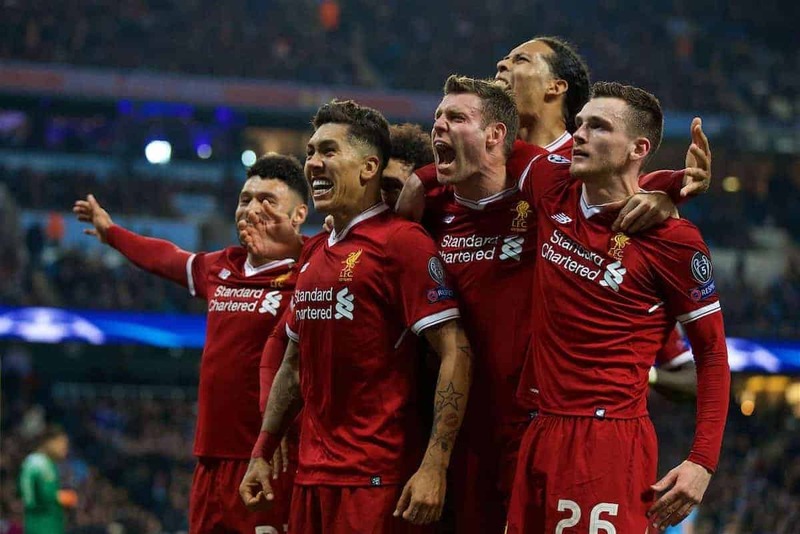 Here, Joel Rabinowitz (@joel_archie), Ste Lindell (@SteLindellLFC) and Patrick Ambachtsheer (@Patrickkk1997) discuss the many highs and few lows from Liverpool’s 2-1 victory at the Etihad. What were the main positives from the night? JOEL: They did it. Liverpool are into the Champions League semi-finals for the first time in a decade. It’s a remarkable achievement for Klopp and his players and one Liverpool supporters should be immensely proud of. When the draw for the quarter-finals came out, I distinctly remember saying it was the most difficult draw Liverpool could possibly have got. Man City, Premier League champions-elect and the bookies’ firm favorites for the Champions League this season, with the second leg away from home rather than at Anfield. It could not have been any tougher. And yet…the first leg at Anfield produced the best scenario imaginable, holding out for a 3-0 lead heading into the second leg at the Etihad. Beating City on their own turf demonstrates just how phenomenal a job Liverpool have done here. This is the most expensively assembled squad in the history of football, systematically taken apart and shown just why Liverpool have European pedigree ingrained in their identity as a club. It’s a night to remember and relish, regardless of where this European journey ends up. STE: The resilience and response from the players who came back fighting after an atrocious first half. In retrospect, all that was needed was an away goal from the visitors to kill the game off and their positive start to the second half was duly rewarded when Salah equalised with a deft chip. Thereafter, the momentum was with the Reds and City never threatened. It was a very impressive reply from the side, who will now surely believe that they could defeat any side remaining in the competition! First of all, Klopp’s tactic to change the front three positionally. At the beginning I wasn’t too sure it would work, as Salah couldn’t get the ball at him. The goal we scored was exactly why Klopp changed that though. It made sure Salah didn’t have to track back; Firmino took that job off him which suits him better. Also, it gave the City defenders a constant thread, even when they were in possession. Another positive thing for me is how certain individuals performed. 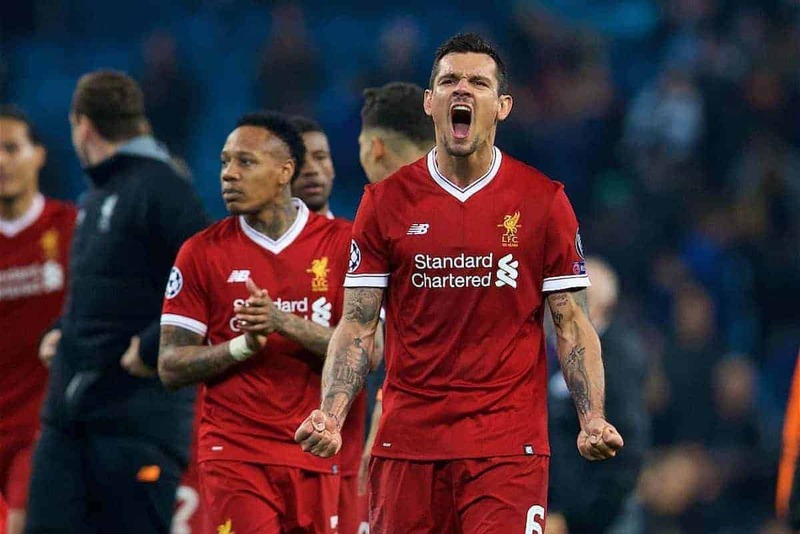 I thought Karius did well, the way our full-backs defended was impressive, Van Dijk showed again why Klopp did wait for him and he got Lovren working with him. The midfield got going in the second half, with Milner being everywhere on the pitch, while Wijnaldum was brave in possession, which resulted in us going through early instead of another nervy end of a match. For example: Salah’s wouldn’t have been scored if Henderson played in the holding midfield role. The last subject for me is the front three, yet again. We’ve talked so much about their quality: it’s absolutely world class. They didn’t even play well the first half, but still so dangerous on a few times. They are there when it’s needed, even if it’s not going the easy way. It’s also good to see how Oxlade-Chamberlain gets better and better with them too from that central position. His pace and direct style is very underrated in those type of matches. JOEL: Well, that first half is up there with the least enjoyable halves of football I think I’ve ever watched. It was like being suffocated by a vice-like grip of City pressure. They threw absolutely everything at it, and more. Jesus gets the goal just two minutes in and you’re already fearing the worst. There’s Bernardo Silva rattling the post from 30 yards. A couple of penalty claims for Raheem Sterling. The Leroy Sane disallowed goal. 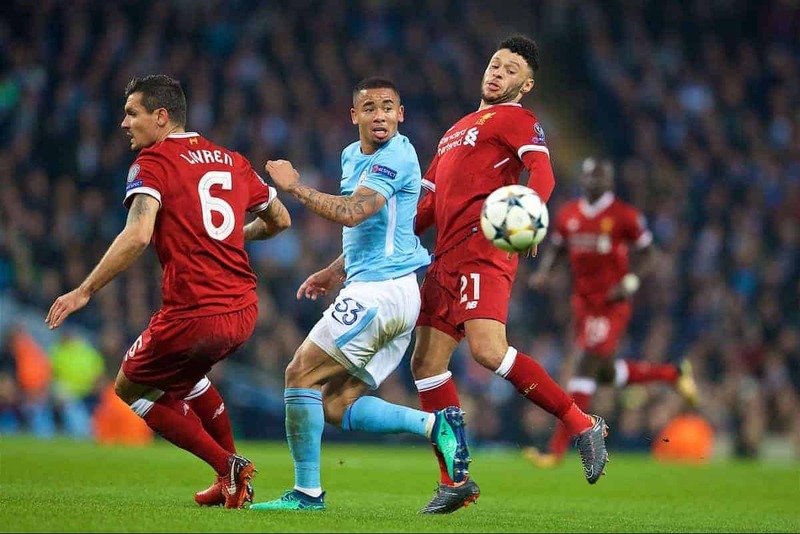 Meanwhile, Liverpool could hardly get a touch and when they did, it felt like the ball was a magnet to City shirts, constantly sucked straight back into their possession. Liverpool certainly rode their luck at times there, but to get in at the break just 1-0 down was ultimately what saved the tie, I think. STE: Like Joel said, the first half. City were always going to be determined and came flying off the blocks—but I was more significantly stunned at how the players froze on the occasion. None of the pressing we were expecting and saw in the first leg was there, with the midfield constantly getting overrun. With every attack they launched, there appeared to be a growing inevitability that they could make it a very nervy night for Liverpool. PATRICK: The referee. I don’t think I have ever seen a match with a worse referee than this guy. He got everything wrong when he had to make a decision. The first goal was a clear foul on Van Dijk, twice actually. Then there was the disallowed goal for Sane. He gave fouls for fair tackles and battles. 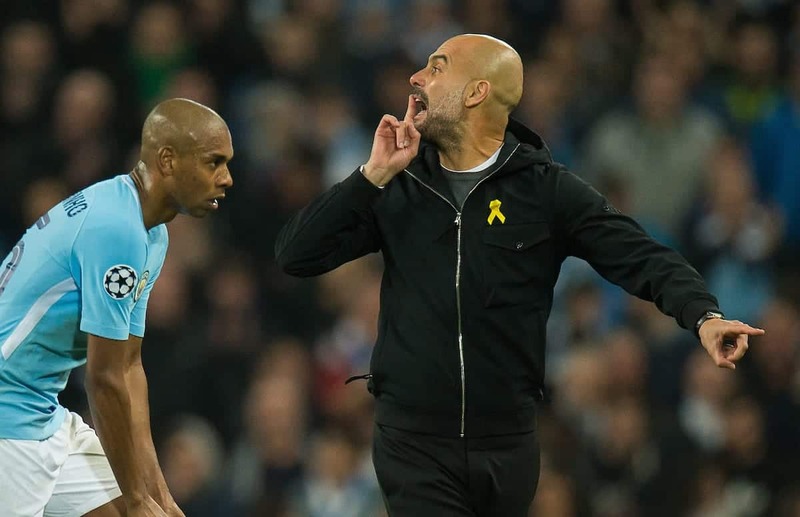 Also, I find it harsh to send away someone like Guardiola in a match like this. It doesn’t really matter me what he said, this match deserved both world-class managers to be on the touchline. What a joke of a referee that was! And who was your standout player over the two legs? JOEL: I’m going with Lovren. He’s been written off as a Liverpool player countless times, widely lambasted and ridiculed by the media and across the fanbase. Here, he stepped up on the biggest occasion of his career against one of the best attacking sides in Europe and was absolutely immense over the two legs. He was constantly in the right position, making crucial challenges, interceptions and winning his aerial battles when Liverpool needed to dig in and withstand an enormous amount of pressure. I’m delighted for him, and for all his various flaws and past performances, he deserves tremendous credit for showing just how brilliant he can be when he performs at his maximum like this. STE: I’ve been hearing a lot of shouts for Salah or even Lovren—who was also brilliant on the night. 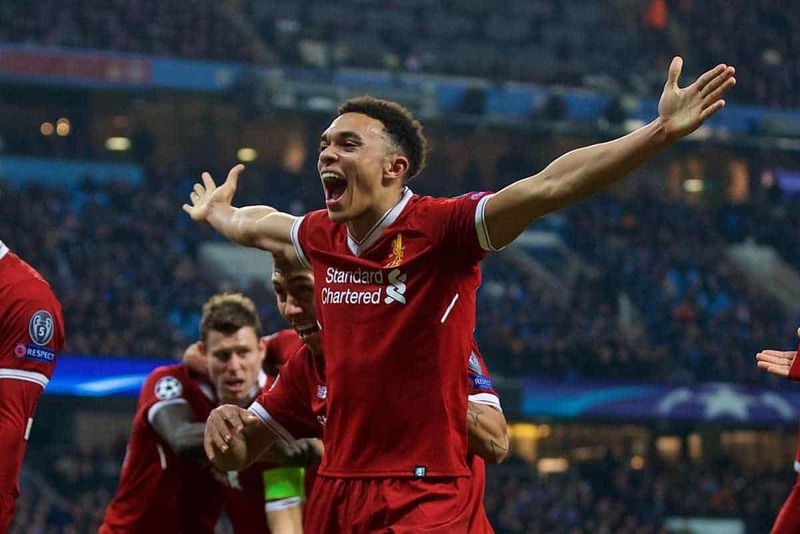 But for me, my standout performer over the two legs has to be Alexander-Arnold. Many had their reservations and concerns about how he would fare when paired up against Sane—who has been having an excellent season. However, he rose to the occasion and produced two magnificent displays reminiscent of a veteran; the local lad was constantly putting in tackle after tackle, block after block and was always in the correct position when Liverpool needed him most. You could tell it means to the world to him, being a Scouser. PATRICK: I agree with Ste, Alexander-Arnold is the main one over the two legs. He got a lot of stick before the first leg (not from me). People even said they would start someone who has played just once in a year over him. The way he performed is absolutely brilliant. The kid is 19 years old, playing against one of the best wingers in the world and he didn’t give him one chance to get in both games. He’s just so composed, calm and mature for his age. Defensively spot on and not afraid to be an option offensively either. No words for that. Another one is Van Dijk. We knew he was going to make a big impact, but the way he leads the team through matches like those is great to watch. Without him, we would have got a lot more problems against this City team. The thing with him is that he wins nearly all his personal battles, which prevents us from the nervy moments we had before his arrival. Knows when to play safe, when to clear a ball far away from the danger zone and when to be the typical “Dutch defender” in possession.